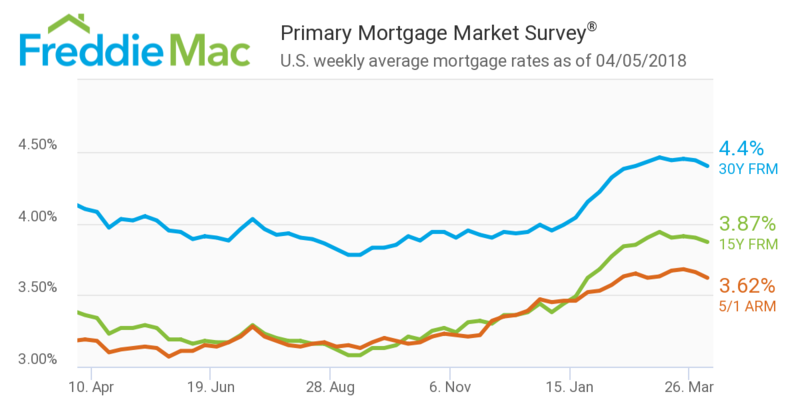 Average mortgage rates fell for a second consecutive week, according to Freddie Mac’s latest Primary Mortgage Market Survey (PMMS). The 30-year fixed-rate mortgage (FRM) averaged 4.40 percent for the week ending April 5, down from last week when it averaged 4.44 percent. The 15-year FRM this week averaged 3.87 percent, down from last week when it averaged 3.90 percent. 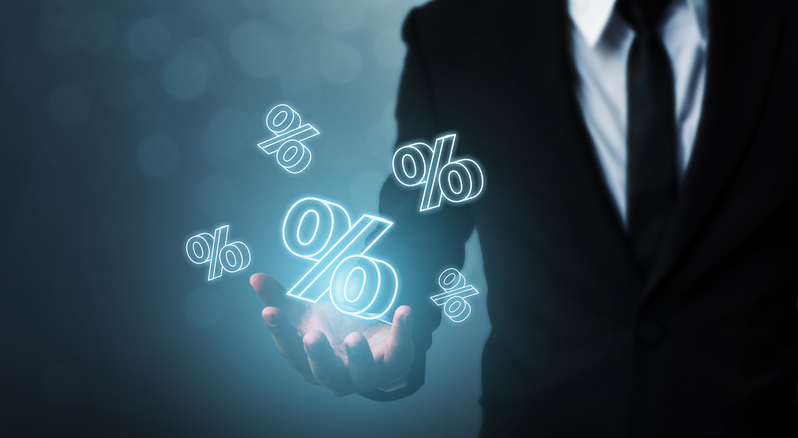 And the five-year Treasury-indexed hybrid adjustable-rate mortgage (ARM) averaged 3.62 percent this week, down from last week when it averaged 3.66. 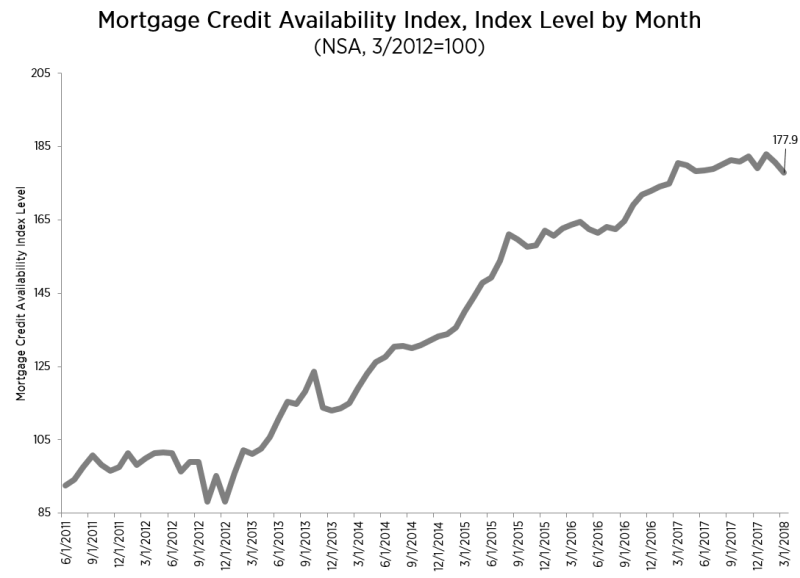 Separately, the latest Mortgage Credit Availability Index (MCAI) data released by the Mortgage Bankers Association (MBA) found the MCAI down by 1.5 percent to 177.9 in March. All four components of the index saw a decline: The Government MCAI (down 2.1 percent), the Conventional MCAI (down 0.8 percent), the Conforming MCAI (down 0.8 percent) and the Jumbo MCAI (down 0.7 percent). Nonetheless, mortgages are being originated, especially for Millennials. New data from Ellie Mae determined that 83 percent of mortgages made to Millennial borrowers in February were for new home purchases, up two percentage points from January, but three percent lower than one year earlier. Sixty-eight percent of the home loans made to Millennials in February were conventional, the highest percentage since Ellie Mae began tracking these trends in 2016, while FHA loans remained flat with the prior month’s level of 28 percent, a two-year low.